So you’ve landed that plum job in Melbourne. Moving to Melbourne is like a dream come true! Melbourne, the capital city of the southeastern Australian state of Victoria has always been a well-known business, administrative, cultural, and recreational hub. The picturesque views of the Port Phillip Bay, the striking skyline, and pristine beaches will provide you a wonderful living experience. One of the great multicultural cities of the world, Melbourne has always offered something memorable to everyone. Now, it’s your turn to move to Melbourne, everyone near and close to you is looking happy and ecstatic. You are also on cloud 9. But amidst all this euphoria, there is a nagging doubt coming to your mind. How will I carry all my belongings? Who will take care of the logistics? Well! All your worries will end at CBD Movers™. We take pride in offering top-notch movers and removalists services in Australia. We are one of the finest interstate movers across the county who will help you relocate with competence. 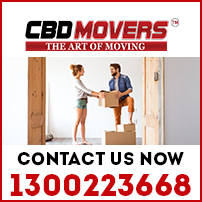 CBD Movers is an established moving company, having years of perfection in executing the services of moving, removal, and storage business, timely and efficiently. Our commitment to providing impeccable services to customers is exhibited from the fact that we invest heavily in procuring state-of-the-art machinery, training, and development of our personnel. As the most preferred interstate removalists in Melbourne, we provide the entire gamut of relocation and storage services under one roof. Our comprehensive movers and packers services and a vast network of offices spanning across the length and breadth of Australia and ensures personalized services to all our clients. Our trained and experienced personnel always ensure that your belongings will be moved safely and quickly. We are very well aware of the Melbourne culture. Our understanding of the local market, institutions, and locations will enable you a hassle-free arrival and settlement in Melbourne. We are regarded as the best interstate removalist in Melbourne for our commitment to providing superior packing, loading, moving, and unloading services. We also undertake backloading services on a regular basis for a really subsidized and cost-effective move. 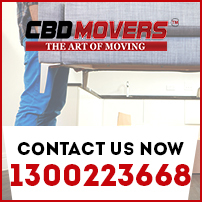 At CBD Movers, we offer reliable storage and warehouse facilities. Our storage units come in extremely handy to store your belongings until your new accommodation in Melbourne is ready to move in. In case your home lease is over and you need space to store your belongings before you actually move from Melbourne, feel free to opt for our well-trusted storage facilities! 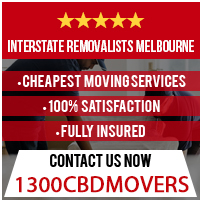 If you are moving interstate to Melbourne or looking for a professional support for moving from Melbourne or want advice from experienced interstate removalists, just call CBD Movers at 1300 223 668. You can also get in touch with us by filling our contact form. To let our expert interstate removalists in Melbourne reach you, Request a callback now!